Not sure what to get your classic Nintendo-loving friend for their birthday? 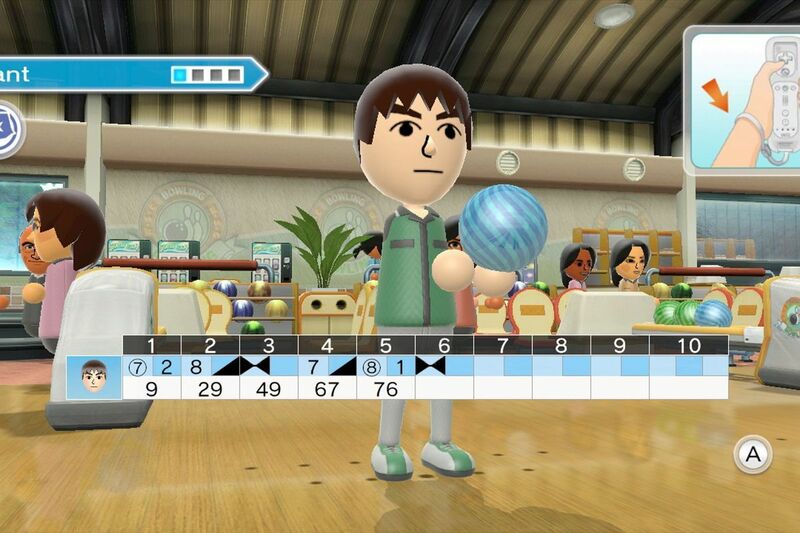 Here is a list of gifts any Nintendo Nerd will love! A floor mat that looks like a big NES controller measures 35 1/2" wide x 15 1/2" long. It has a rubber that will keep the mat from scooting. The Nintendo Game Boy Heat Changing Mug features screenshot from the iconic 1989 Game Boy title Super Mario Land which appears when a hot drink is poured into the mug. Game Over Box is a mostly subscription box filled with Nintendo gear from all of your favorite games. NES-inspired design with a giant DPAD. 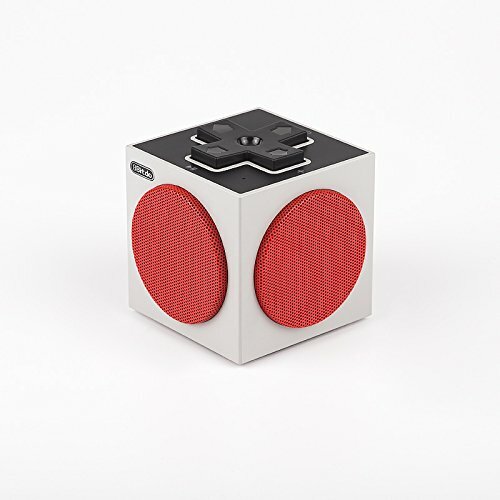 Wireless bluetooth speaker with an 8-hour battery life and upgradeable firmware. Features 22 tracks from Legend of Zelda: Ocarina of Time performed by Slovak National Symphony Orchestra. Includes 2 LPs in limited edition green and purple colors. 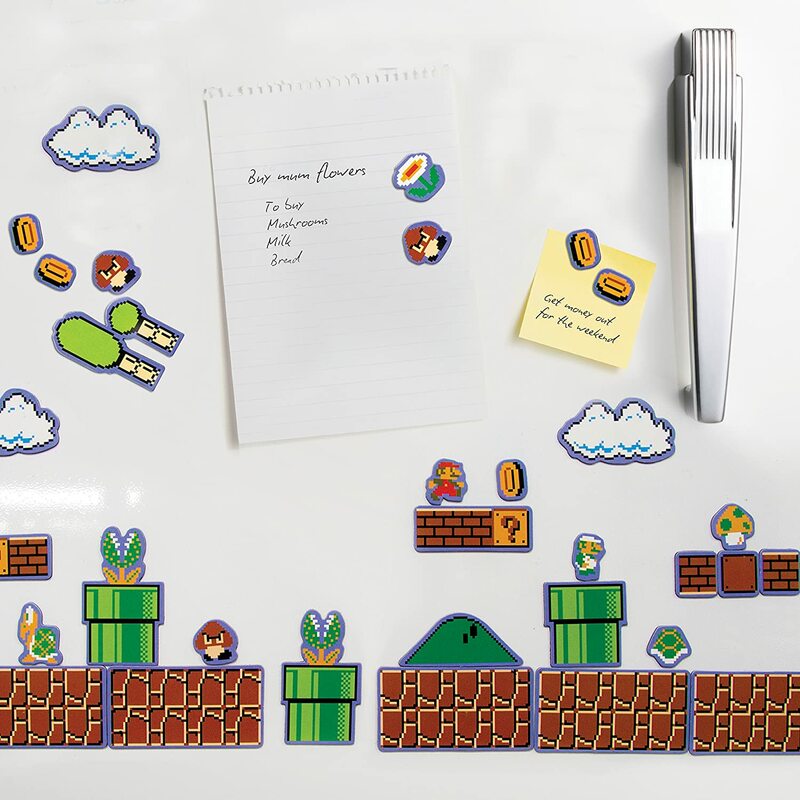 Create and personalize your very own Super Mario levels with this Super Mario Bros. set of 80 fridge magnet based on the classic and legendary video game. Included: Mario and Luigi, mushrooms, turtles, flowers, coins, and even level details such as brick platforms and sewer tunnels, so you can create your own new levels! This 80% polyester 20% cotton hoodie is perfect for men and women. It comes in sizes from small to XL. Gold Legend of Zelda cartridge is suitable for all your drinking needs. It includes a red straw. Use this for when you don't want everyone to know what potion you're drinking. 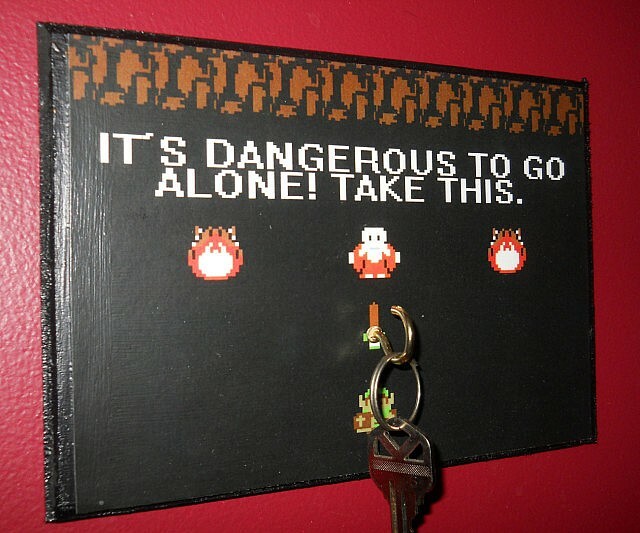 Originally made in the 90's by rabid Zelda fans, Deeply Dapper's version of the key hook is a true labor of love! The entire image was digitally redrawn for the clearest image and closest colors possible - no screen capture here! The image was then printed on UV Coated, full color vinyl for durability and ease in cleaning. The plaque, handmade from reclaimed, irregular and second-use wood, measures 5"x7"